The ninth day we left Porshofn (Thorshofn) on road 85 until Vopnafjordur. There we took 917: this is a very nice pass that gives you fantastic panoramic views. 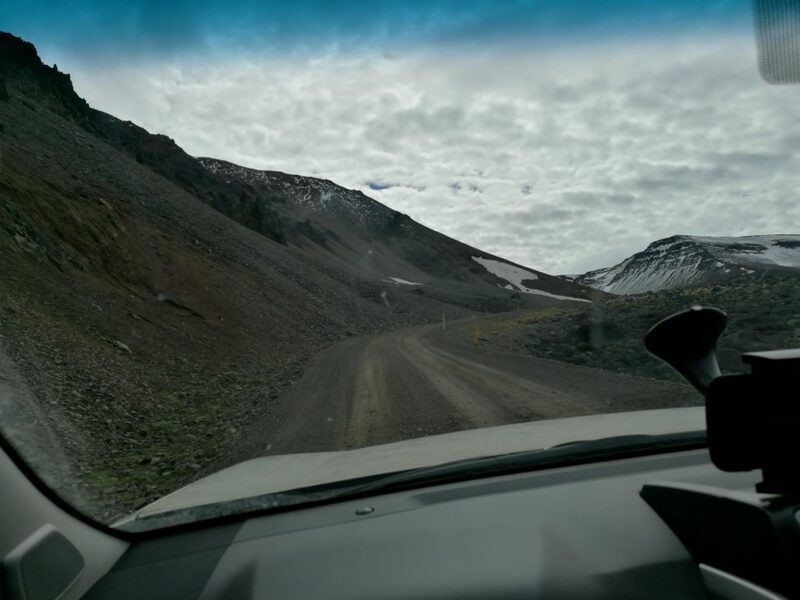 From this pass, in order to reach Borgarfjordur Eystri, you have to reach the main road. It is a long way but it is very nice. We drove on 925 and 944 where we crossed a small dam. Another pass on road 94, but this time on a better and faster road and we got to a Puffin lookout at the village port. On our way back we drove on road 94 to Egilsstadir. This town is extremely nice and in my opinion is a place to visit. My father stayed there trying to catch birdlife, meanwhile we made tour around the lake. One cool place to visit, on the opposite side of the lake, is Litlanesfoss. The path to this fall is not hard but it takes time and it is steep. If you feel that Litlanesfoss is not enough, you can walk a bit more (still steep, and a bit is around 1H) and have a wonderful view on Hengifoss.